Personalized Medicine, Mayo, and the Uncertain Future of Integrated Health Care, Minnesota Journal of Law, Science & Technology (18 Minn. J.L. Sci. & Tech. 788) (2017). 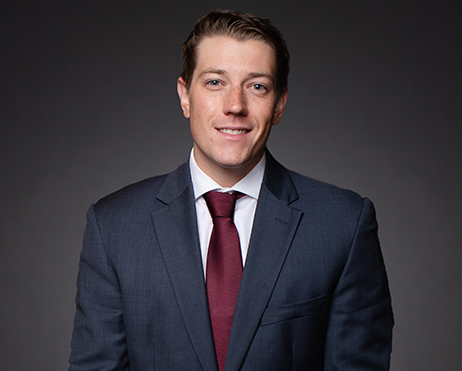 Peter is an intellectual property attorney at Merchant & Gould’s Minneapolis office with experience in renewable energy, chemistry, and biotechnology. He focuses his practice on patent prosecution and litigation, ensuring his clients receive the strategic advice they need to make the most of their patents. As an inventor, you get one chance to put forth a spectacular patent application for an invention. You must get that patent application right the first time. Moreover, there is so much more to a patent than simply an application. You need to know how to monetize that patent and what steps you’re willing to take to enforce it. As your IP attorney, Peter is here to help you craft a strong patent strategy that considers all aspects of your patent. He’ll help you finesse your application so you’re putting your best foot forward. He’ll help you understand the options you have once you bring your patented invention to market, and the steps you need to take to protect your patent from infringement. For Peter, what matters most is ensuring your patents support your business. He stands ready as your strategic advisor to help you understand how your latest patent fits within your overarching IP portfolio and how you can use that patent to further future business growth. Your patent strategy matters. Peter will ensure you have one that fits your immediate goals and long-term business objectives. Peter is never still at work. He’s always digging deeper, seeking to uncover those special nuggets of information that will help put his clients in their best position. Peter is also active outdoors whenever time allows. Some favorite outdoor pastimes include mountain biking, golfing, wakeboarding, and snowboarding. Speaking of active, here are a couple fun facts about Peter: he’s a black belt in karate and worked on a dairy farm growing up. Your patent is simply one tool in your overarching intellectual property and business toolbox. Work with an IP lawyer who will help you with all your business and IP strategies. Work with Peter Selness. Call him today at 612.336.4715 or send him an email to schedule a consultation.